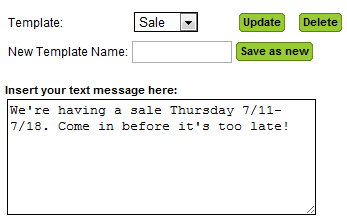 Create, update, and delete message templates. This is a great way to keep track of campaigns and maintain a list of messages for different businesses/purposes! Build comfort with customers! 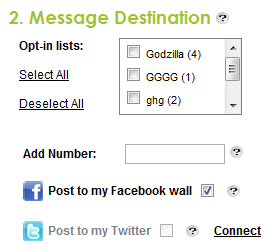 Use merge tags to customize messages and make them more personable. Depending on the information you have in the system, merge tags can be used to add in the person’s first and last name, gender, date of birth, e-mail, phone number, zip code, and in the appointment manager, the time of their scheduled appointment. Select one or multiple opt-in lists. The scope of your message will affect the audiences you want to reach. Do you want to cross-promote local businesses? Or simply send a message to a client’s loyal base? The power is yours! Send now or send at a scheduled time. Do you want the message to be immediate, or to send it out at a precise moment? Craft campaigns with the calendar and the clock in mind or do it on the fly. Plan ahead or be spontaneous! You have the power to send messages from your phone when you access Lime’s platform on a mobile device! Manage campaigns on the go, which is great if you’ve got lots on your plate!